The Tactical Restaurateur: What restaurant managers can learn from a US Army reconnaissance officer. Before joining Tenzo, I served as a U.S. Army reconnaissance and operations officer from the Platoon to Division level (about 10,000 soldiers) and experienced how crucial proper data and intelligence is to mission success. I'd like to share my insights from the Army and working with restaurateurs to explain how a data strategy will help you grow your top line. NOTE: We've previously written about how Tenzo and a proper data plan can affect the other end of your balance sheet by decreasing your labor costs and food waste by 10%. As a US Army reconnaissance officer, I gathered information on the enemy - location, disposition, movement - and fed that to my command. As an operations officer, I experienced how my reports and data sources were critical for our commanders to develop a successful battle plan to exploit our enemy's weakness. After the Army, I wanted to work at Tenzo because I realized how difficult and time consuming it was for restaurateurs to use their data to paint an accurate picture of what was happening at their restaurants. Their data was inaccessible, unsorted, and un-actionable. Their decisions had to be based mostly off intuition, not the proper "recon" reports I previously had. Tenzo is your restaurant command center, making sense of the numerous reports and data you receive. Report only what you observe - this is a fundamental of reconnaissance that was hammered into me. I learned to steer away from gut decisions and use only the quantifiable information available, because our intuition is full of bias and can often result in poor decisions especially when you're tired from working around the clock on reconnaissance missions. I needed to feed the rawest data possible to my commander so our intelligence team could use that information and their knowledge on the overall situation to interpret my data and reports. The same fundamentals of reconnaissance apply to your restaurant operations. Executives and managers must analyze the data, not just their intuition, to decide how to best grow. Will you increase footfall, average guest spend, or sell more of your higher margin menu items? Is it mission critical to achieve this during a certain meal period or a day of the week? Tenzo integrates with your current data sources to bring all your sales, labor, and inventory data together, so you can develop the right growth plan for your business. You'll know where your past growth has come from, when it occurred, and at which locations. 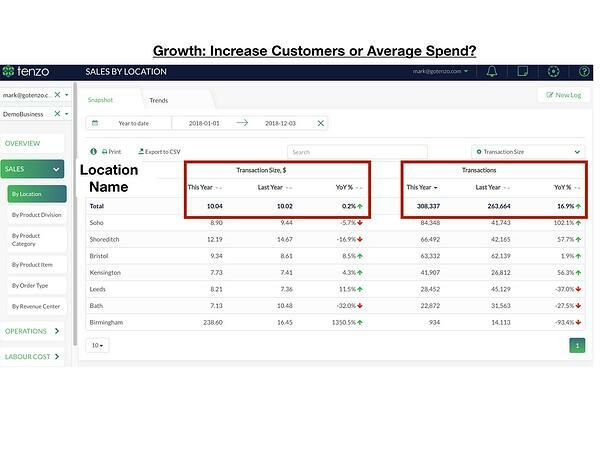 For example, with this fictional restaurant chain (image above), it becomes quantifiably apparent that the previous Year on Year (YoY) growth has come through increasing the number of transactions by 16.9%, but your average spend has only grown 0.2%. Additionally, this growth hasn't been true for all the locations, with Leeds experiencing a 37% decline in transactions. The right growth plan for this restaurant might be to increase average transaction size while maintaining or growing footfall, especially at Leeds, Bath, and Birmingham. An overall strategy for your restaurant is powerful, but each general manager and location will need to slightly tailor the plan for their unique situation and determine how to best achieve this. The Leeds manager might need to focus on increasing guest count while the others need to focus on guest spend. The U.S Army employs "Mission Command", which is the practice of empowering managers and junior officers to decide how to best achieve their individual objectives. This empowerment and decentralized command evolved because faster paced and more dynamic conflicts made it impossible for a central command to dictate every movement. This management style can pay huge dividends, but it requires that junior leaders have the necessary tools and information to make these decisions. In the past, many restauranteurs have found this management to be difficult because data had been cumbersome to access. General and area managers did not have the time to download numerous CSV files full of data and create custom excel reports to understand their trends. This isn't the case with Tenzo. 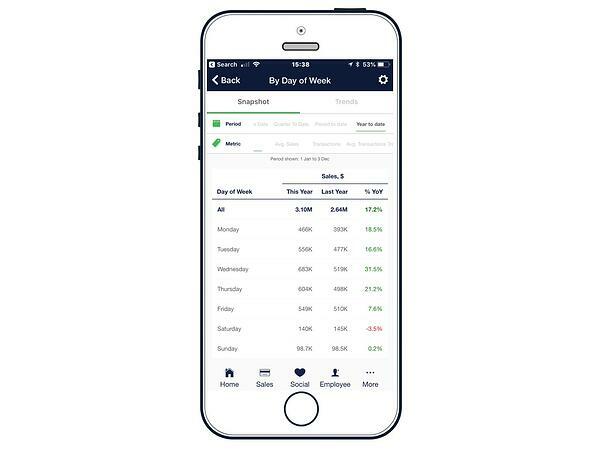 Tenzo will deliver actionable alerts to your managers when certain daily or weekly KPIs aren't achieved and provide reports on their phone (iPhone and Android). Now, the Bath General Manager can see that their particular location needs to focus on growth by increasing sales, specifically on Saturday, which is the only day they haven't grown year on year. The Bath manager needs to improve sales on Saturday, but how? Tenzo will alert this manager that Bath's average guest spend has decreased, while footfall has actually increased. Now the manager knows they need to find a way to increase their average guest spend, which requires a much different technique than attracting more guests. A common way to increase transaction size is to focus on increasing attachments, which typically are drinks, dessert, or starters. Tenzo will track attachment rate for this manager and alert them to which specific employees are selling the most attachments. Growth is difficult and requires that the entire team is working towards the right goal and able to track potential warning signs. It is critical that your teams are able to stay coordinated and track their KPIs. Tenzo helps with this through our Logbook and End of Day reports. This feature allows managers to create their end of day reports with Tenzo inserting the quantitative figures and KPIs. 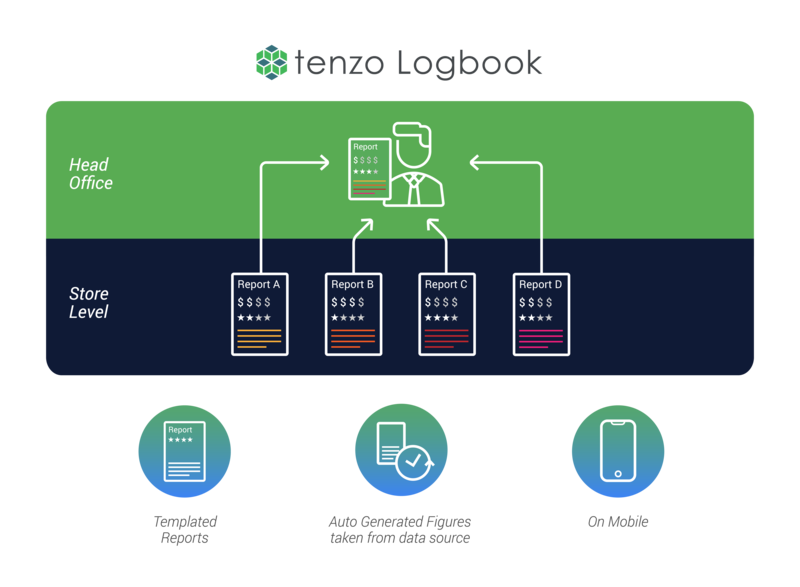 Tenzo will then compile every managers report and format them for the area managers and head office, saving time, increasing coordination, and allowing your team to easily access these reports. Competition and accountability were crucial factors keeping my army teams motivated. Restaurant staff are no different. However, creating an accountable and competitive environment in a restaurant is not so easy. Tenzo can help provide this environment through the use of leaderboards. For example, at the individual level, Tenzo provides performance accountability by ranking staff by average sales per hour as well as average transaction size and individual product item sales. At the team level, Tenzo can track location-level trends for social media reviews as well as individual location sales. Basing mission plans on solid data made the army units I served in extremely successful. A data strategy is crucial to developing the right growth plan for your restaurant. AI and business intelligence are now becoming crucial in order to grow revenues, just reducing costs will not do, as reported by BCG. Tenzo is helping the restaurant industry achieve this growth. If you're ready to bring actionable insights to your business, please contact us to learn more. If you feel you could use any help in understanding the tech eco-system which helps you gather data to make these actionable insights, then we highly recommend you reach out to Eposability. They specialize in helping you to drive growth from your systems and ultimately produce clear actionable data to make decisions from. We have also put together a short piece on what this eco-system could look like in our blog.